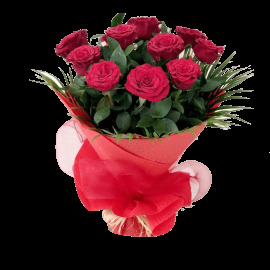 Flowers delivery charge as advised in our delivery section will be applicable. If you request delivery to remote areas which are not normally delivered to by Covent Garden UAE you will be advised of any additional charges as soon as possible after receipt of your Order Form. Selected products are not available for delivery to certain areas - where possible we will advise you of these restrictions when you place your order. 'Before 9pm'/'after 9am' service is available in addition to Covent Garden UAE Delivery Charges. 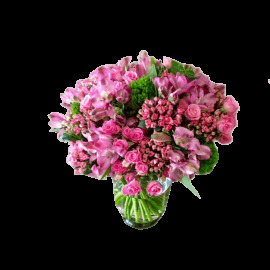 The service is offered to flower orders for delivery within the UAE. Should you require this delivery service, your Order Form must be submitted (requesting this service) 24 hours in advance of the required delivery date (10am Thursday in the case of Friday and Saturday deliveries). This delivery service is offered subject to availability and is not available for certain products – the service may be withdrawn without notice during busy periods. 'Special delivery' service is available as an addition to Covent Garden UAE Delivery Charge. 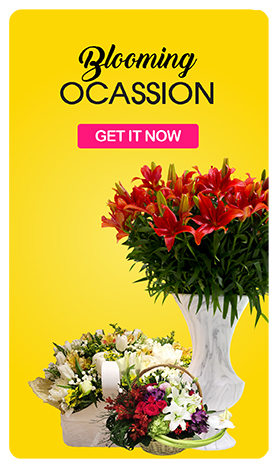 The service is offered for flower orders to selected delivery locations within the UAE. Should you require this delivery service, your must ‘add' this to your product basket BEFORE completing your Order Form which must be submitted at least 5 hours in advance of the required delivery time. Delivery Time may only be between 10am and 8pm UAE Time. This delivery service is offered subject to availability and is not available for certain products – the service may be withdrawn without notice during busy periods. On acceptance by us of your Order Form we will advise you by e-mail confirmation of the intended delivery date. Where same day delivery is available for the product you are ordering for delivery within the UAE we must receive your Order Form by 2pm (prevailing local time). Incorrect personal details may lead to problems or delays in delivery, so before placing your order, please ensure that you have included the full address details, including accurate post code of the intended recipient and telephone number, together with your daytime contact telephone number or e-mail address so that we can notify you in the event that any delivery problems are encountered. We highly recommend that you provide us with your Mobile Number for this purpose. Certain products may be delivered during a delivery period, providing delivery within a time frame around your preferred delivery date - if this is the case for your order, we will advise you after you have completed your order form. Whilst we agree to use all reasonable endeavors to ensure that delivery will be on the requested delivery date or during the delivery period you acknowledge that actual delivery will be via a local florist or for certain orders via third party courier or postal service and in very occasional circumstances delivery on the requested terms will not be possible. In such circumstances you will be given prior notice wherever possible and we shall either make alternative arrangements or shall reimburse your payment in full in accordance with clause 1.5 above. Orders fulfilled via courier or postal services will be dispatched the day prior to the nominated delivery date. In the case of delivery to certain locations where a third party is involved, such as offices, hospitals, funeral directors, airports, hotels, ships and other business locations, the signature of any person authorized to accept delivery on behalf of the organization shall be accepted as proof of delivery to your chosen recipient. In respect of orders outside the UAE delivery shall be made as soon as is reasonably practicable hence you acknowledge that delivery on the intended delivery date, particularly in respect of orders received for same day delivery or for Public Holidays, cannot be guaranteed. It is possible to select a preferred delivery time within the order process for items ordered in special service product ranges. This option should be used only for orders requesting delivery to funerals or funeral parlors. Whilst every effort will be made to ensure your order is delivered prior to the time selected, no guarantee for delivery by the time specified can be given. To assist us in meeting your preference, please ensure your order is placed at least one working day prior to the preferred delivery time. 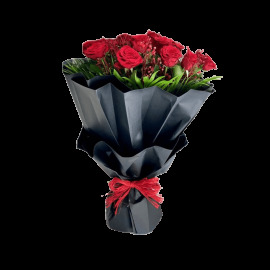 In the instance of there being difficulties in delivering your order to the intended recipient we (including the florist or third party delivering your order) reserve the right to contact the recipient using the contact details you provide on the Order Form. When placing your order you are able to specify further delivery information using the 'Delivery Information' field provided. This is intended to provide further guidance to the party delivering your order which isn't included within your address information – for example to specify floor number, or hospital ward. We reserve the right to not action any delivery requests specified in this field which, we deem unacceptable and will use other elements of address information provided elsewhere on the order form to fulfill your order. Before placing your order, please review delivery cut-off times & prices - accessed from the delivery section. You will be given clear instructions to follow to navigate the Order Form and you shall be required to provide us with your complete personal details, including accurate post code, together with those of the intended recipient and all necessary payment details. By clicking on the 'check out' button on the Order Form, you are consenting to be bound by our terms and conditions contained in these Terms and Conditions and appearing anywhere on the Coventgardenuae.com Site. Submitting your Order Form is subject to our acceptance of this offer when we issue a written confirmation of acceptance by e-mail to the e-mail address with which you have addressed us. This message will re-confirm elements of the order(s) you have placed including confirmation of your delivery Date. We will not consider ourselves bound by a contract with you until we have issued this confirmation. We will confirm your order details and advise you that we are processing your purchase when we e-mail you. You are responsible for ensuring the detail of your order. Please read your confirmation carefully as we will assume the detail shown to be correct and will not accept liability for errors not advised to us prior to delivery. We cannot accept Order Forms from customers under the age of eighteen (18) years. Our Customer Service Team is available from 9 am until 9 pm Saturday to Thursday and 10 am until 7 pm on Friday.